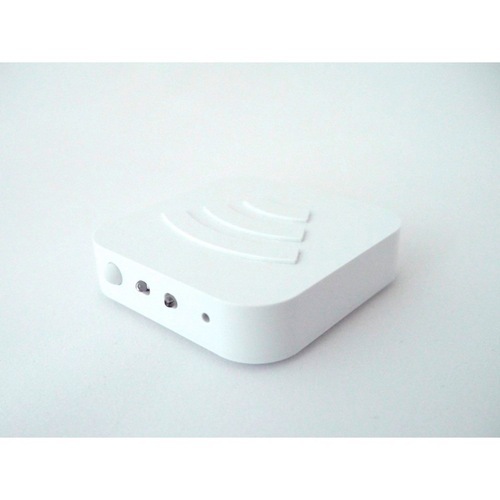 IRKit is a WiFi enabled Open Source Infrared Remote Controller device. lights can be controlled using iPhone and iPad via IRKit. electronics using IRKit iOS-SDK . Use location, turns on air conditioner when you arrive near your home. Press one button to turn off all your home electronics when you leave home. which your friend is watching. IRKit itself runs a HTTP server. You can POST JSON formatted IR signal to it to send IR signals. on internet to send IR signals also. IRKit is a Arduino derivative Open Source hardware. write it into IRKit using Arduino IDE to make it more smart. So, what did you hate about your remote controller? How would you like to control it?